ANN ARBOR, MI – Over eight months after first being sued by the New York Attorney General, and after a marathon preliminary injunction hearing that stretched over four weeks, Angela Braxton, a pro-life Christian and side walk counselor, finally took the stand late last week to explain why she spent years regularly ministering outside of a large abortion facility in Jamaica, Queens. 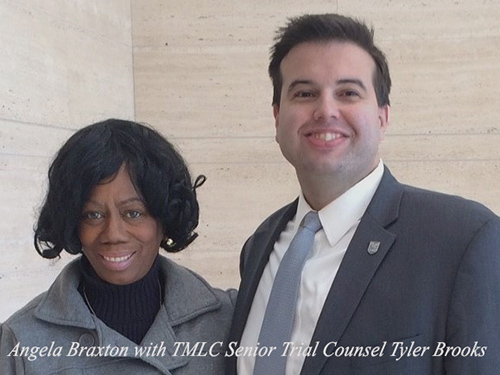 Attorney General Eric Schneiderman, who complained about “a sense of entitlement by protestors to run their mouth,” named Braxton and more than a dozen other Christians as defendants in his federal lawsuit filed last June. The lawsuit asked a federal court to impose a sixteen-foot buffer zone around the abortion premises and levy draconian fines, attorney fees and compensatory damages against the defendants. In her moving testimony, Braxton described growing up in Brooklyn, New York, including being among the first African-American students bused to majority white schools as part of desegregating the New York City school system. She also explained having suffered numerous miscarriages as a young woman—an emotional experience that made her realize the preciousness of all life. 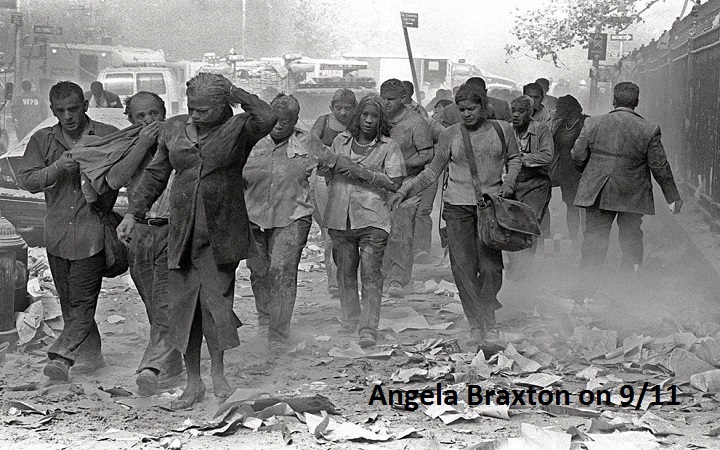 An Associated Press photographer took an iconic photo of the debris-covered Braxton as she escaped from the fallen tower. That photograph now hangs in the Smithsonian National Museum of African American History and Culture. To view the photo, click here. Federal District Court Judge Carol Bagley Amon will hear oral arguments on the Attorney General’s motion for a preliminary injunction on May 10, 2018 at 2:00 PM. Yet to be decided is TMLC’s motion to dismiss the Attorney General’s case, which was filed on July 17, 2017.